One of the most considerate financial discoveries is the emergence of the credit unions. A credit union is a non-profit company whose services are geared towards providing cheaper options throughout its range of products they offer. The biggest advantage of these unions is that they have come to save the low-income earners as well as the rest of the people who are very particular about the charges. The primary goal for credit unions is the fact that they aim at providing cheaper services to their clients. Unlike banks, credit unions are not in operation for profit but rather to act as a helping hand to the community. The small profit margins realized are reinvested which ensures that their interest rates on loans taken is low. The body that regulates these unions is the National Credit Union Administration. 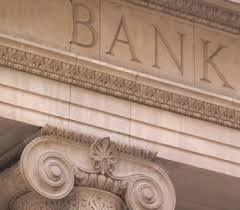 So what do you consider when looking for a financial institution? Before settling on one particular one, always seek to see what type of services they offer, how they run and what charges they charge on loans taken. Get a union whose goals are clear and easy to understand. In cases where some things are not clear, always seek clarification so that you make a well-informed decision on whether to sign up with the particular union. Sometimes, you may be in need of taking a loan, and you may have several financial institutions to choose from. Credit unions have been known to have the most flexible interest rates compared to commercial banks. Analyze the different credit unions available and how much interest rates they charge on a student loan or business loan depending on your preference. Some will undoubtedly charge higher rates compared to the rest. How tech-savvy is the particular union in consideration? Some people prefer credit unions that have a digital platform in the form of mobile banking. The flexibility and convenience that comes with mobile banking are unbeatable. Though some people are skeptical about it, it is very convenient, and you can withdraw your savings anywhere at whatever time you want. If you prefer this type of banking, check whether the specific institution has a digital platform. Some credit unions have a more flexible loan repayment plan than others. Depending on what type of loan you apply, you are given a stress-free repayment schedule that works for both parties. One of the considerations by the institution when coming up with a schedule is the income by the applicant. This highly determines when you should complete your loan. Besides, the institutions are more concerned with the community welfare than profit realization.